Owen Single Stage Setting Tools are Compact Wireline Tools. The burning of a power charge produces high-pressure gas for setting bridge plugs, cement retainers and packers. 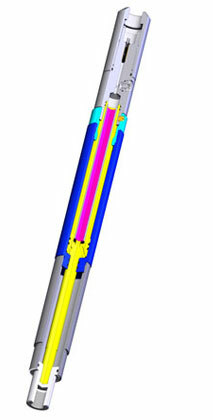 Shorty Setting Tool is a single stage wireline pressure setting tools are compact units in which the burning of a power charge produces high pressure gas that elongates the tool, providing the necessary stroke to set conventional bridge plugs, cement retainers, and seal bore permanent packers in setting ranges that do not require and extra amount of stroke. The tools feature pressure balanced top and bottom pistons and eliminate presetting of the mentioned products caused by high hydrostatic pressure. To view additional data on our Setting Tools product line, select menu item of choice below.